2nd shot, the orbs still there but some grew in size, the big ones as if they moved and was just in front of my camera, can be seen! What is the history of NUS? Why are there houses still left empty today? This night exploration is a follow up to some of the mysteries of NUS as mentioned in the earlier entry. Indeed, the history of NUS and the campus grounds are rich and long. And during my online research, i actually managed to find some clues as to who used to occupy the abandoned houses that we find today! NUS officially got its name in the 1960s. 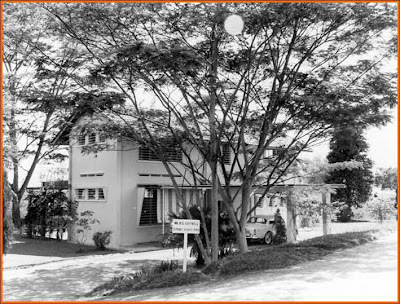 Named the University of Singapore then, it used to house students who came from overseas to study. 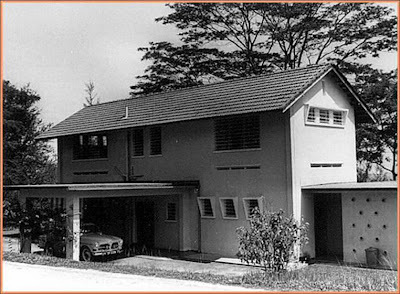 The rows of houses at the back of Kent Ridge was one such place that housed overseas students. 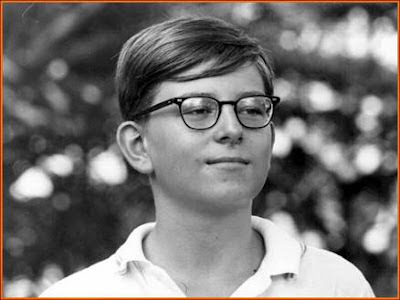 Alan Cottrell was one such student. The following pictures showcased photos of his time in Singapore. 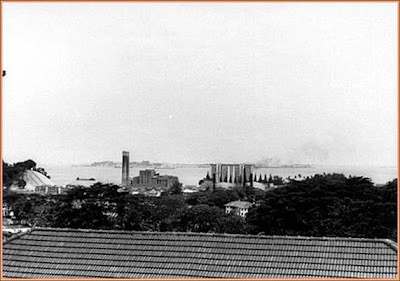 Alan was in Singapore from 1963 to 1967. His first 'Quarters' in Singapore - 17 Prince George's Park - just below The Gap and Kent Ridge. Another view of his dormitory house in NUS. Notice a suspicious big bright orb on top of the tree! View taken from a scenic location that overlooks the harbor. Looks similar to the view that we have now, from the Arts Canteen! Some of the pictures above are strikingly similar to the pictures of the following houses taken along the road to PGP. Any of them could be the house that Alan stayed! Two bright orbs can be seen visibly, one hovering at the left hand corner, near to the edge of the picture, as well as another lingering above the window on the left hand corner of the 2nd floor. More obvious orbs are captured floating around the roof of the house, some of which appeared to be coming towards me. More orbs captured around the tree area, of a spot where it was dark. Picture taken of the 2nd floor room. Can see that the windows are 'opened' and you can see the inside of the room. But nothing much. Although several interesting pictures were captured, none of those posed any reason to believe that there are signs of haunting, as everything was still quite calm and peaceful. Therefore, i have concluded that NUS Kent Ridge is not haunted!